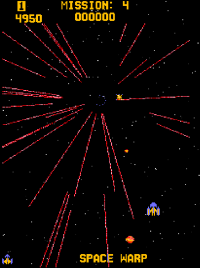 We had Space Invaders, Galaxian, a high-speed warp-zone shooter level, and the MOTHER SHIP!KA BOOOOMMMMMM!, it would blast, if you managed to land that one critical shot. 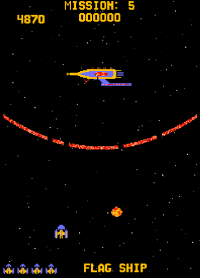 TOKEN TOKEN TOKEN I was hooked; the sounds were outstanding, as I blasted away at enemy ships -- thinking I was piloting my newfound ship against aliens from another world. My aunt clearly saw my love of the game, since it would be that year I would find a copy for my ColecoVision as a birthday present. I know I've talked to death the ColecoVision's ability to bring home the arcade. 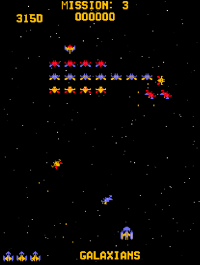 This one was better, in my opinion, graphically, but lacked the taunting voice chip sounds. It is still one of my most played games on the system, bringing back memories of sitting in my parents room playing on the 'ol TV until my wrists hurt. I'd complete round after round, pushing my rank higher and higher. 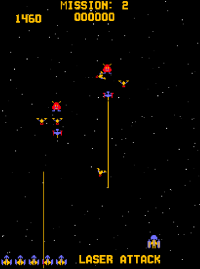 The game was also ported to the Atari 2600, 5200, and several home computer platforms. 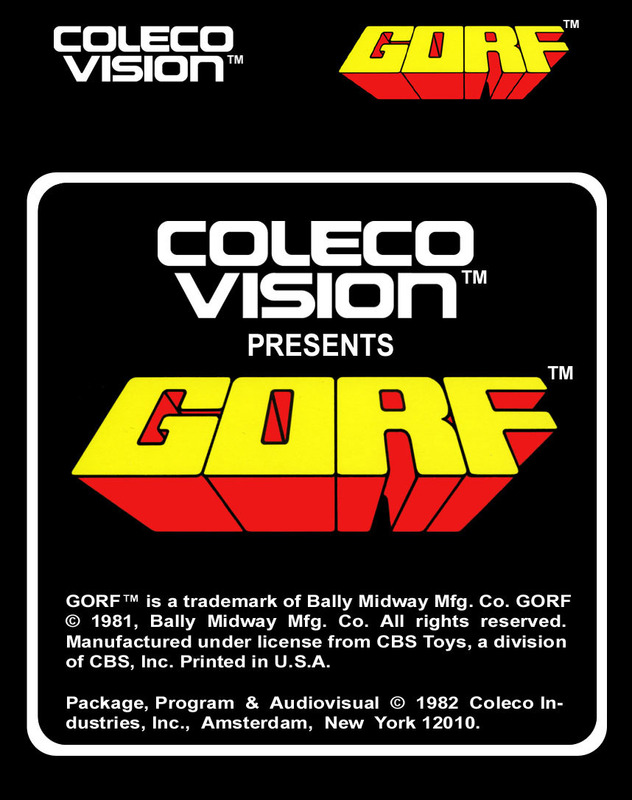 But none touched the ColecoVision version, in my opinion. I wish I had more hands on experience with the arcade game in my adult life, but finding one is very difficult -- let alone finding a classic arcade. 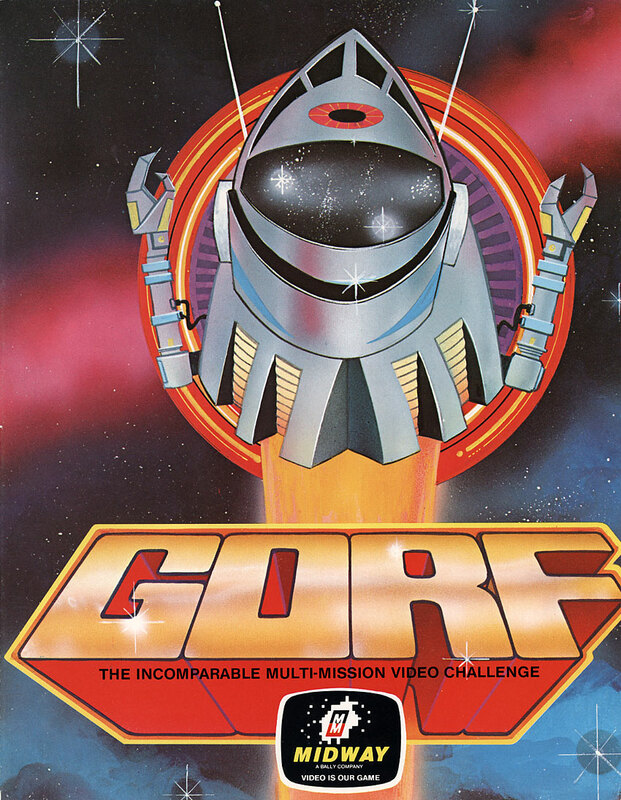 So my wrists will hurt until I die, playing G.O.R.F. 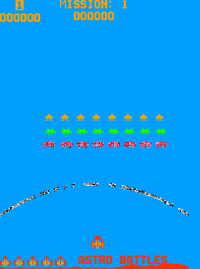 on the ColecoVision. 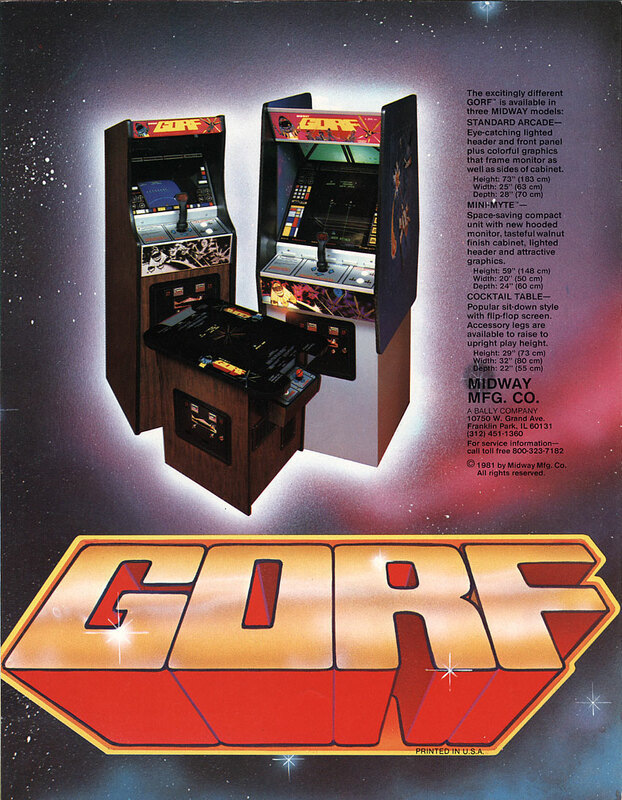 Did you ever play G.O.R.F.? Share your stories in the comments below.